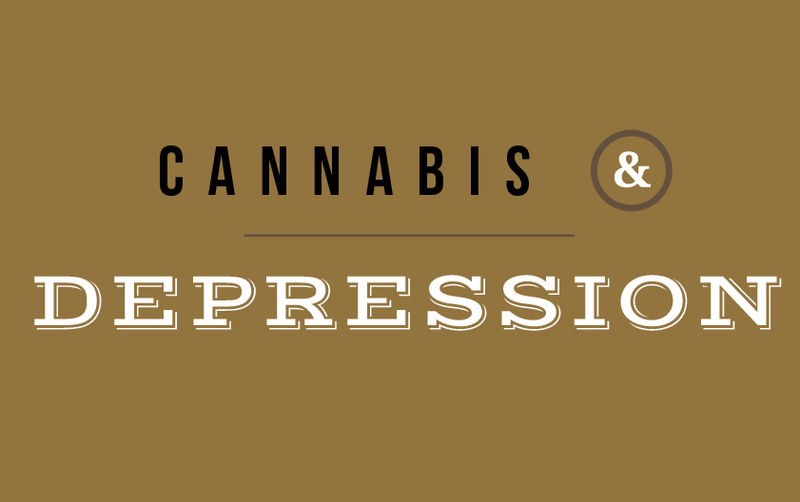 Can cannabis help with depression? This is a common question we get asked at our cannabis retail store. More than 350 million individuals around the world struggle with depression. It is one of those unfortunate conditions that many people – both third parties and those suffering themselves – find easy to write off as a passing bad mood or laziness, and as such many people do not get the help they need. Some of these people, however, have discovered in cannabis a life-changing, all-natural treatment for this debilitating disorder. Using cannabis as a method for lifting one’s spirits is not a new concept but, as is the case with many of cannabis’s touted uses, the scientific evidence to back up this claim is spotty, not because studies reveal evidence against it, but because so few studies have ever been conducted. Adding to the difficulty is the fact that there are many different types of depression, and it is detrimental to assume the cure or treatment for one type will have the same effect on another. Nevertheless, the past decade has seen some advancement in the study of cannabis and depression. The evidence all centers around endocannabinoids and cannabinoids. The former occur naturally in the human body, while the latter are found in the cannabis plant. Their names are similar because both activate the same receptors and neural pathways within the body; if a person has too few of an essential endocannabinoid, cannabinoids can replenish this shortfall. Most recently, in 2015, a study on lab rats, which explored depression caused by chronic stress, found that a lack of endocannabinoids in the brain can result in depression-like behavior. Cannabis could be beneficial by reintroducing a host of helpful cannabinoids into the body. Back in 2007, a study by McGill University, in Montreal, Quebec, found small doses of THC – the best-known and most prevalent cannabinoid in cannabis – increase the brain’s development of serotonin, a neurotransmitter and natural anti-depressant. The study also found that beyond a certain dosage, the medication seemed to have the opposite effect, potentially worsening the very condition it sought to relieve. There is a long-running discussion on whether cannabis causes, exacerbates, or corrects depression. It is important to note here that in the above study it seems the high doses slowed the creation of serotonin, which stopped helping patients with depression. This does not imply high doses of cannabis cause depression. The theory that cannabis can cause depression has not been entirely refuted, though there are those who argue against the truth of this belief. Some scientists and doctors have stated that while cannabis users may appear apathetic or less animated after ingesting the plant, this is a side effect and not indicative of lasting trouble in the brain (the same way nausea is a side effect, and not a permanent condition, of some pharmaceutical drugs). While it might seem easy to conclude that cannabis is not a suitable treatment for depression because too much can worsen the condition, in this way the plant is no different from most pharmaceutical drugs: dosages are prescribed for the specific reason that too much can cause problems. Related issues like stress, anxiety and insomnia can play a role in, or exacerbate, depression. As some studies have found that cannabis is a suitable treatment for these conditions as well, your natural medication could be doing double- or even triple-duty in making you feel better. Based on the existing research, which does support the anecdotal evidence celebrating this natural treatment, it is safe to say that small doses of cannabis may alleviate depression in some patients. As always, those trying this alternative treatment for the first time should stay safe and be smart. Speak to a knowledgeable party – like your friendly FARM staff member – who can help you select the best products for your personal needs.